At a recent lecture I was giving as we went over techniques and materials for pulp capping I got the chance to learn about a great product. An endodontist in the audience asked if I had ever heard of EndoSequence BC RRM from Brasseler. He specifically encourages it’s use for direct pulp capping over an exposure. 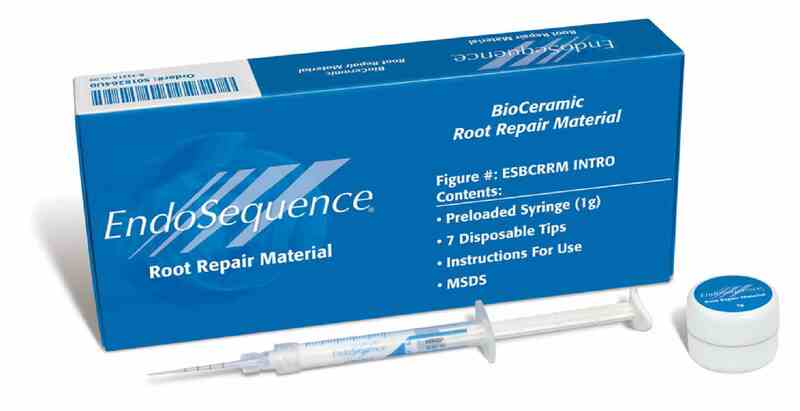 The material is a bioactive, bioceramic that is recommended for repairing root perforations, root resorption and for pulp capping. It releases calcium hydroxide so has the ability to stimulate dentin formation, and at the same time it’s other components create a seal over the exposure. It is used routinely in endodontic procedures and is considered a superior product to MTA, as it is a better delivery system and a more pure form of the same bioceramic. One of the challenges I presented when we discussed it is the set time, which is 20 minutes, and in an operative procedure I could not imagine myself waiting for 20 minutes prior to being able to place my composite. He assured me this wasn’t necessary, as he simply places a glass ionomer liner that is light activated over the top and then moves forward with the rest of the composite. Since then I have reviewed quite a bit of literature and presentations and found that this material is what endodontists are using and raving about in the last few years. I figure if they think it’s a superior material for a direct pulp cap, I can’t argue with that.